What is the Difference Between Formative and Summative Assessments? It doesn’t matter what fitness course you’re on… from Level 2 fitness instructor, Level 2 Aqua to Level 3 PT and Level 3 Yoga. You’ll have both formative and summative assessments: Here’s the difference between them! First Up, PRESS PLAY, and take notes as you go through today’s quick video. 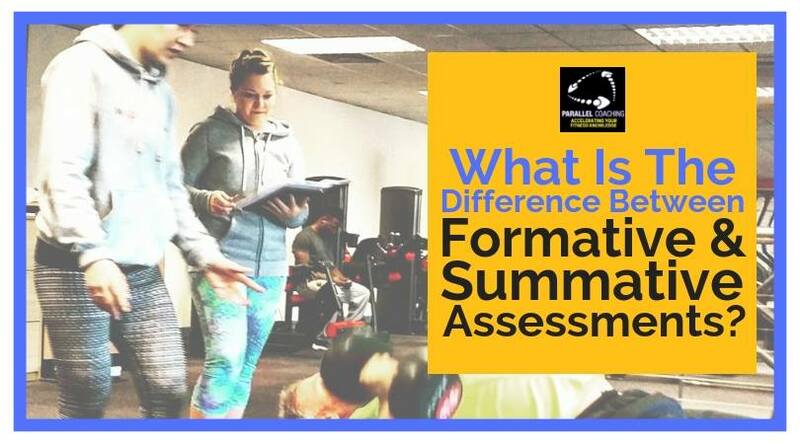 Then scroll down and read more about the assessments that you will have on your fitness course, understanding the difference between Formative and Summative assessments. 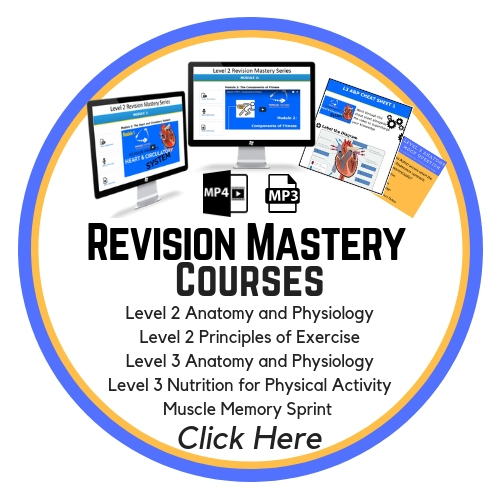 The Formative Assessments are daily assessments, that are generally completed throughout your fitness course. You, tutor or assessor, will usually teach you a key principle, allow you time to practice it, and then observe you, to check that you have understood the key concepts – this is formative. 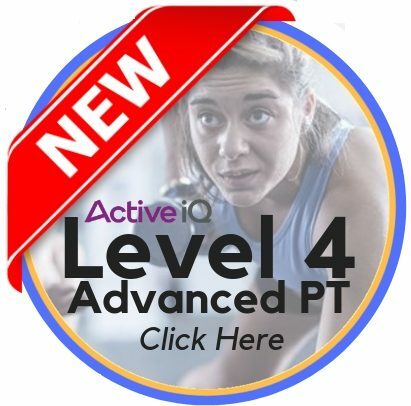 Whereas the Summative assessment is completed at the very end of your fitness course and signifies the end of the learning journey and final step to becoming qualified. A formative assessment is used to check learning and understanding, as part of the educational journey. This allows you to get feedback on your current practice, so you can make amendments and improve before the Summative Assessment. The Summative Assessment compares your performance against set criteria to show that you are fully competent and therefore contributes heavily towards your fitness course outcome; it allows the assessor to evaluate your achievements. Formative assessments are generally performed on very small areas of knowledge, compared to Summative assessments which generally include an entire section being assessed. The Level 2 Fitness Instructor Qualification (Gym) includes both Formative and Summative Practical Assessments. The Formative assessment is usually completed on course, following a workshop whereby you have been taught instructing skills. You are then observed by your tutor/ assessor and given feedback relating to key criteria. 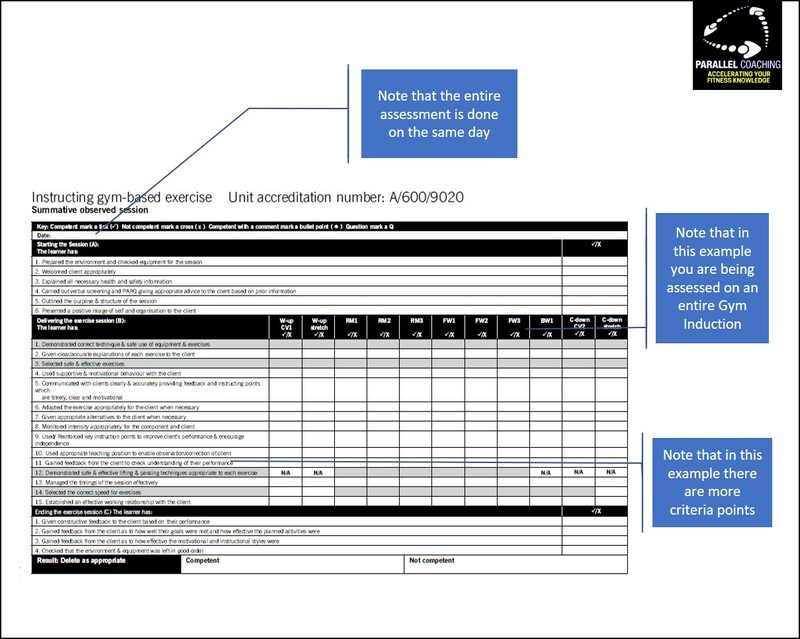 Note that in this example you are being assessed on your instructing skills across 5 different exercises: 1 Cardio Exercise, 1 Resistance Machine, 1 Free weight exercise and2 body weight exercises. These are usually observed whilst you teach another learner from your course and can be assessed on multiple days. You will get feedback to show you how you can improve in preparation for your Summative assessment. 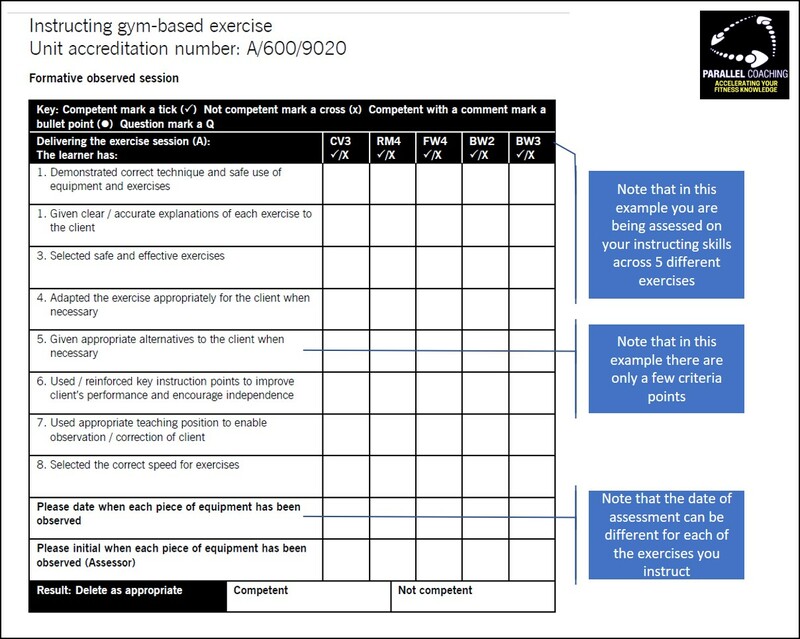 Note that in this example you are being assessed on your instructing skills across an entire gym induction rather than just a few exercises. These are usually observed on a set final assessment day where you instruct either a peer from your course or a friend. 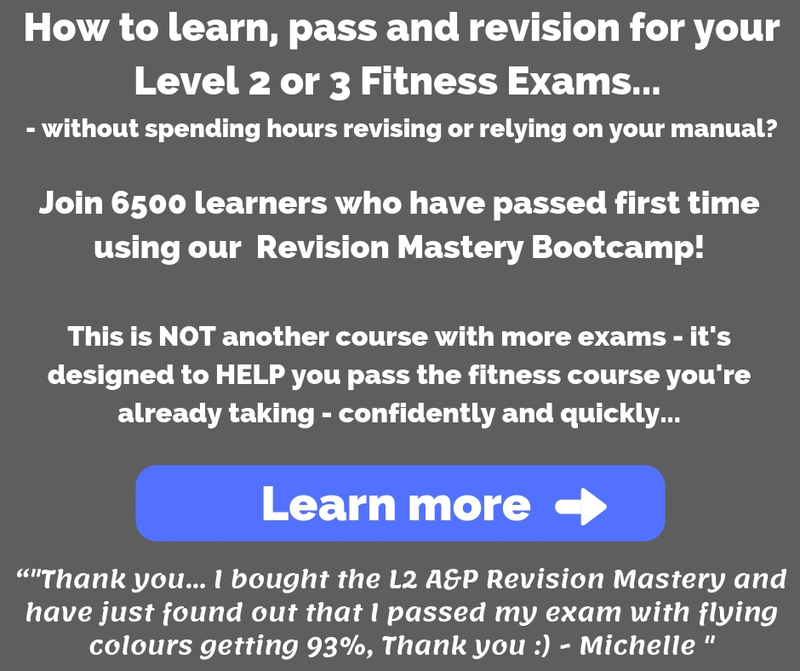 You will get a final result that will determine whether you are able to become certified as a fitness instructor, and feedback to show you how you can improve when applying your skillset to real clients. All fitness courses at level 2 and level 3, also include a Summative Multiple Choice exam to verify your competence on theoretical topics. To make sure you are prepared for your fitness exam, click the link below to download mock questions.